1. 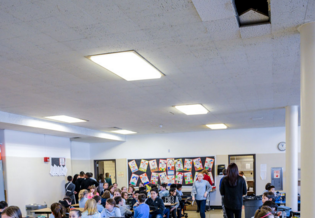 )?The Yonkers City School District is looking to undergo a massive overhaul of its facilities, and are asking New York State legislators to help foot the $2 billion bill for revamping 39 buildings over 13 years. The Journal News reports that only two of the district’s schools were considered to be in “satisfactory condition” in 2010. You can read The Journal News’ full coverage of this story here. The Rebuild Yonkers Schools has also created a?website at?www.rebuildyonkersschools.com and social media platforms:?www.facebook.com/rebuildyonkersschools and?www.twitter.com/rebuildyonkersschools?where you can sign a petition in support of the effort. 2.) This month Westchester Broadway Theater will celebrate female friendships and the life of American Country/Pop Singer Patsy Cline, who is credited with paving the way for women headlining acts in her country music. “Always Patsy Cline” is on stage from Feb. 4 through 28 and is based on Cline’s friendship with a Houston fan named Louise Segar. Cline, who was the first female solo artist inducted in the Country Music Hall of Fame, became friends with Segar at a Texas honky-tonk in 1961. The play details their friendship through letters, visits, stories and heartache shared by a housewife and country music star. Get tickets and details on the show?here. You really make it appear so easy with your presentation however I to find this matter to be really one thing which I think I might by no means understand. It sort of feels too complicated and very huge for me. I’m looking ahead on your subsequent submit, I will attempt to get the hang of it!